I am very glad to be taking an Herbal Apprenticeship with The Boston School of Herbal Studies this year. Foster, S. and Duke, J. The Peterson Field Guide Series – A Field Guide to Medicinal Plants and Herbs of Eastern and Central North America. 2nd ed. New York, NY: Houghton Mifflin Company, 2000, p. 142. Nuffer, B. Black-eyed Susan – Rudbeckia hirta. NY: New York Conservationist, 2007. 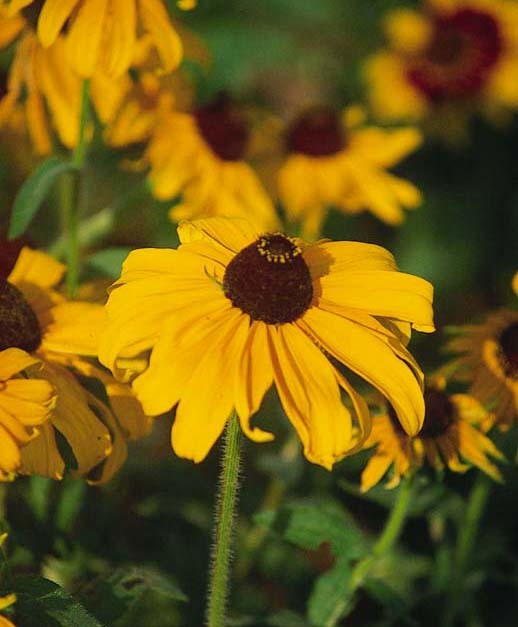 Black-Eyed Susan – Rudbeckia. Gardens Ablaze, 7 May 2010. http://www.gardensablaze.com/WildflowersBlackEyeSus.htm. Q&A - Toxic Perennial Plants. Richters. 8 May 2010. http://www.richters.com/newdisplay.cgi?page=./QandA/Animals/20091230-1.html&cart_id=111.100. Black Eyed Susan. Outdoor Edibles. 8 May 2010. http://outdooredibles.com/2009/black-eyed-susan. Herbs. Mississippi Valley Archaeology Center at the University of Wisconsin - La Crosse. 8 May 2010. http://www.uwlax.edu/mvac/research/HerbIntro.htm.